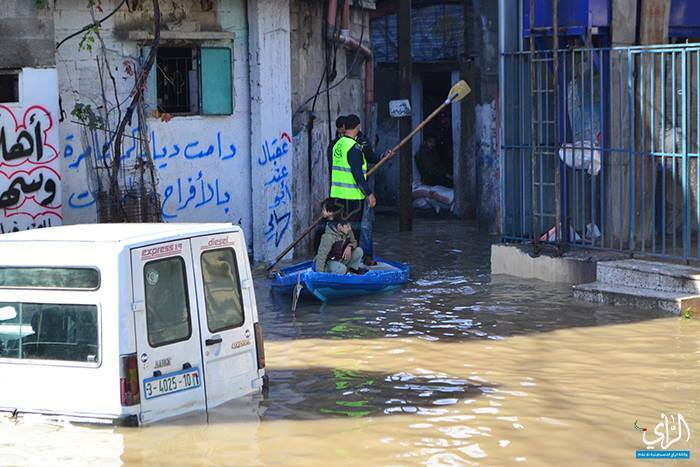 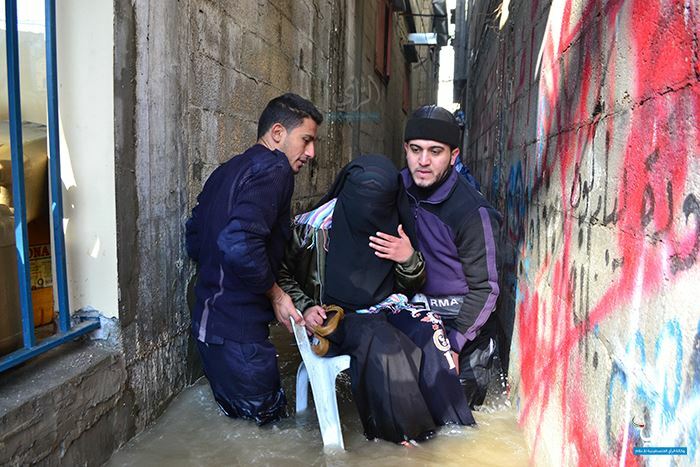 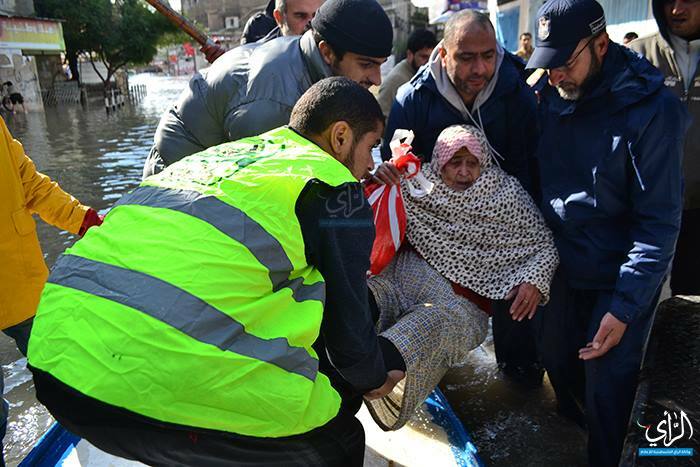 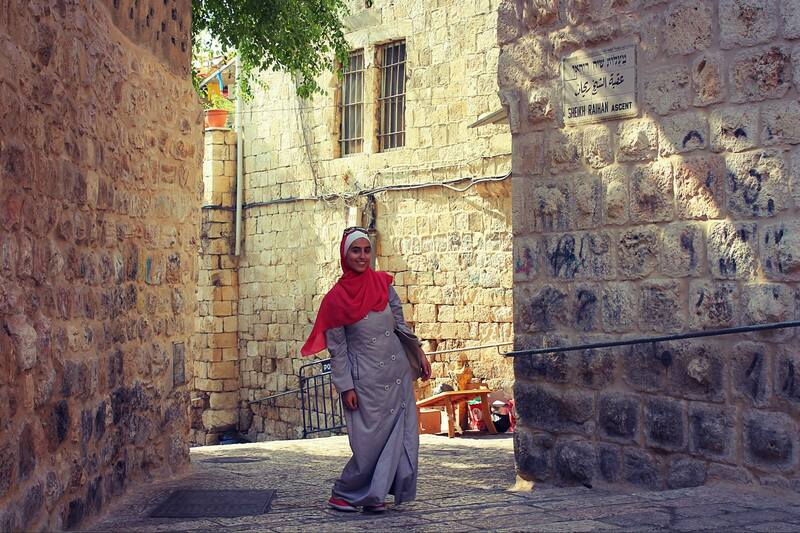 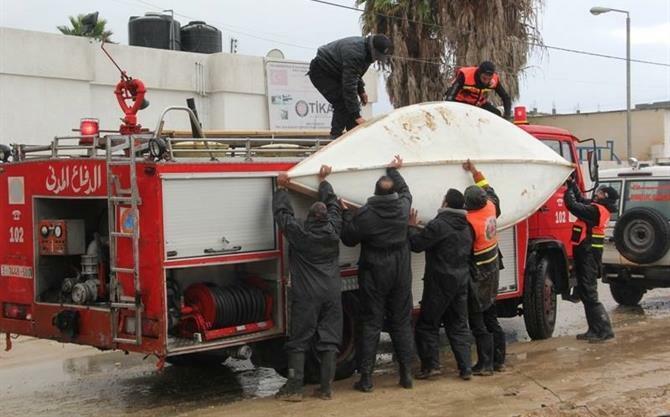 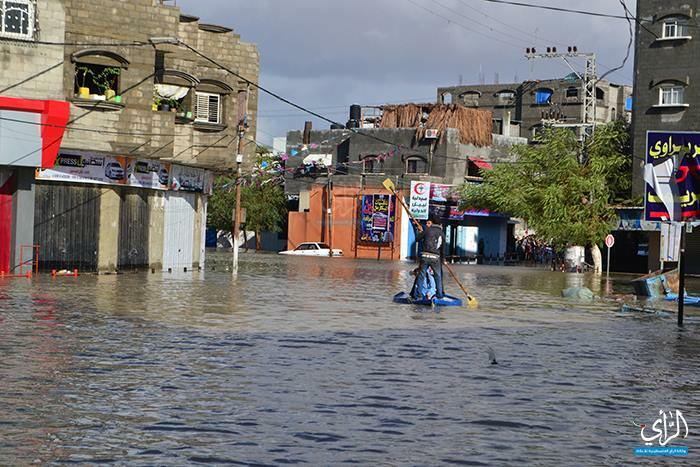 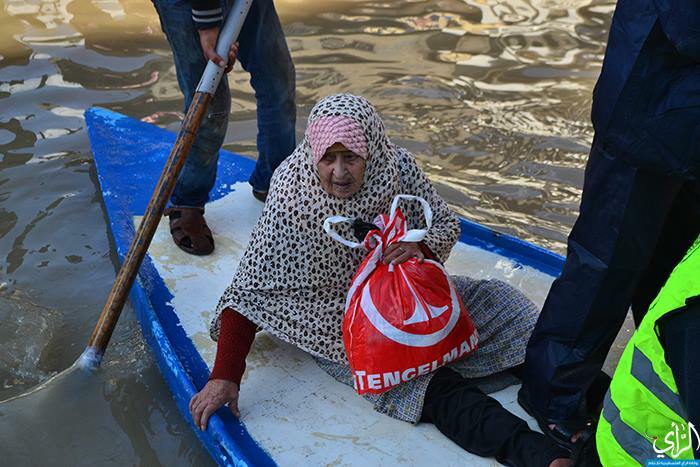 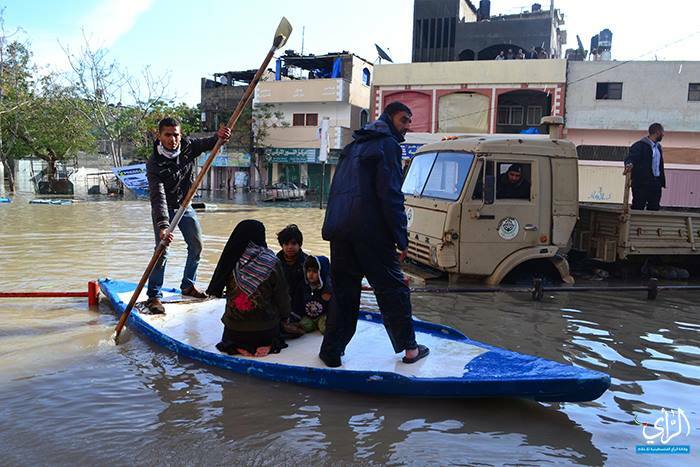 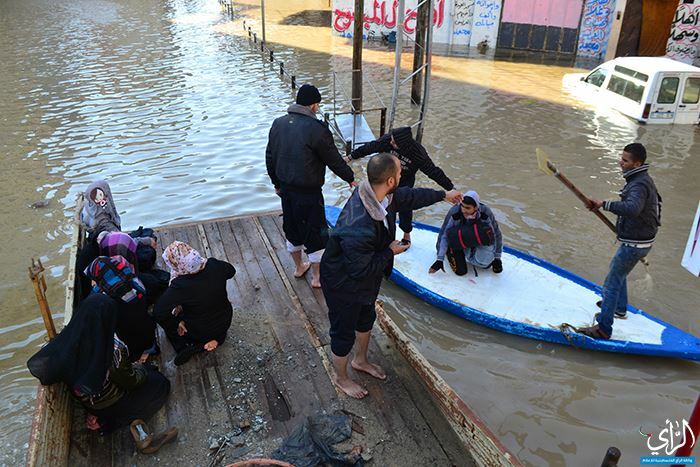 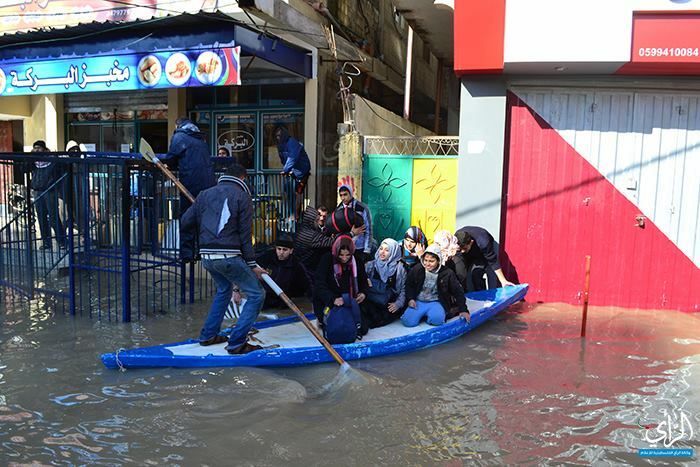 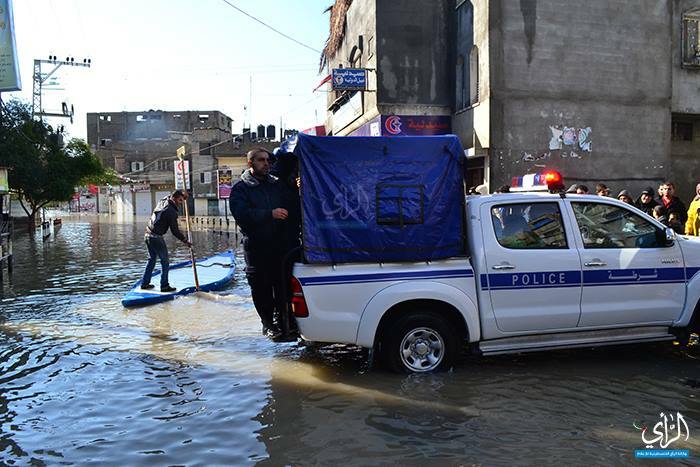 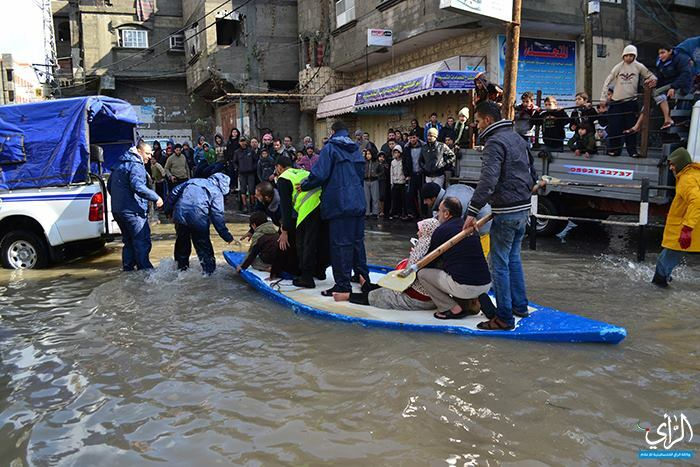 Gaza, ALRAY – The Palestinian Government estimated the Gaza people affected by the floods and heavy rain at 662 households accounting for 2825. 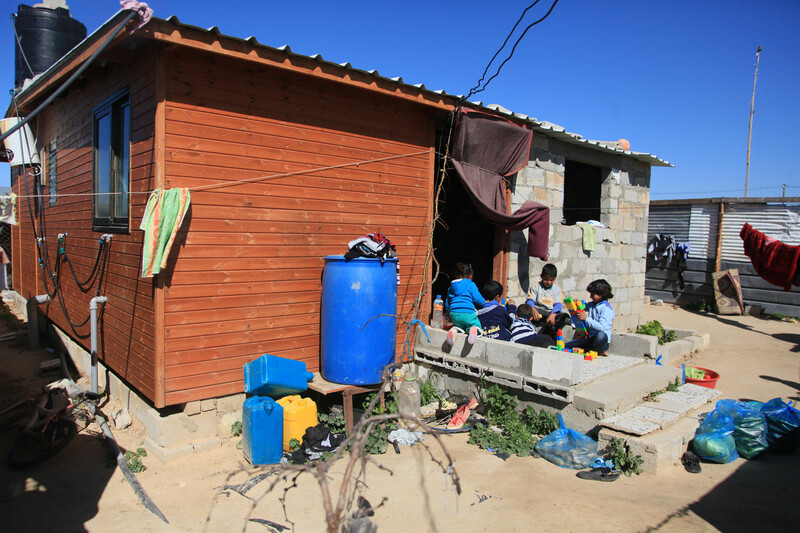 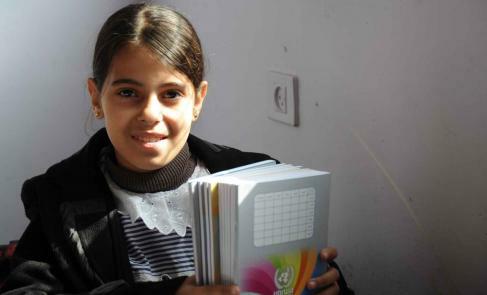 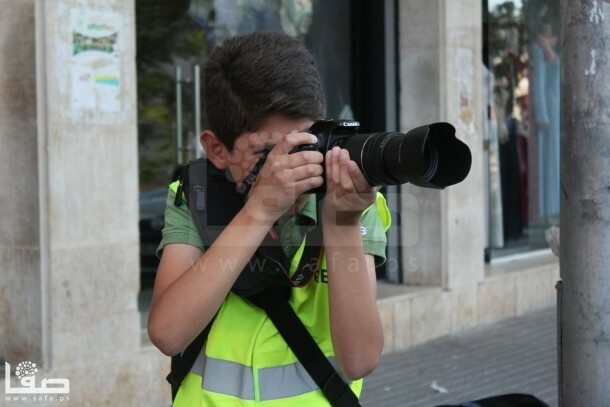 Government Spokesman Mr. Ihab al-Ghusain told ALRAY "137 households accounting for 787 people have been housed by the government in emergency shelters in schools and police stations and received assistance such as food, clothing and blankets,"
While Ministry of Social Affairs said in a brief statement "The people housed are 35 households accounting for 217 in Gaza city, 43 households with 220 people in the Northern Governorate of the Gaza Strip, 21 households with 110 people in the Central Governorate, 38 households with 240 people in the southern city of Khan Younis. 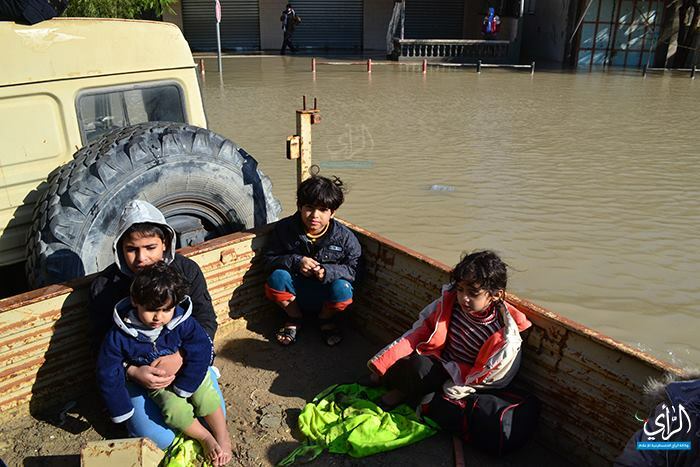 The ministry opened 9 housing shelters and provided the affected people with 974 blankets, 167 bedrolls, 122 food baskets, 483 bags of bread, and plastic sheets. 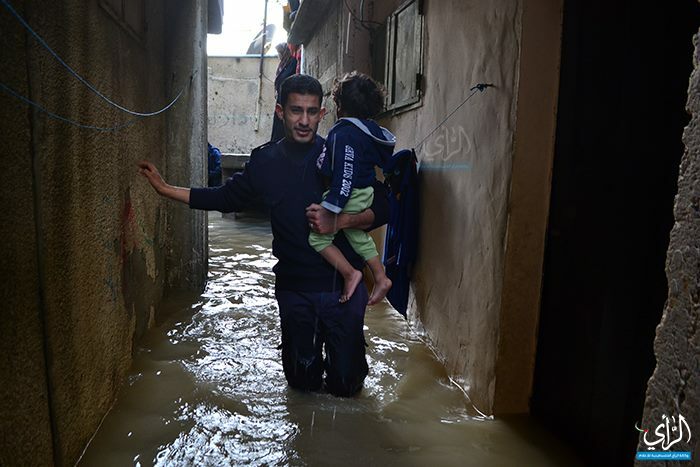 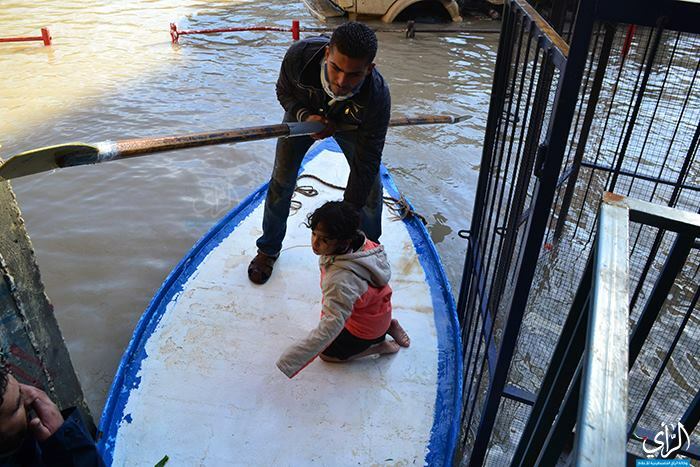 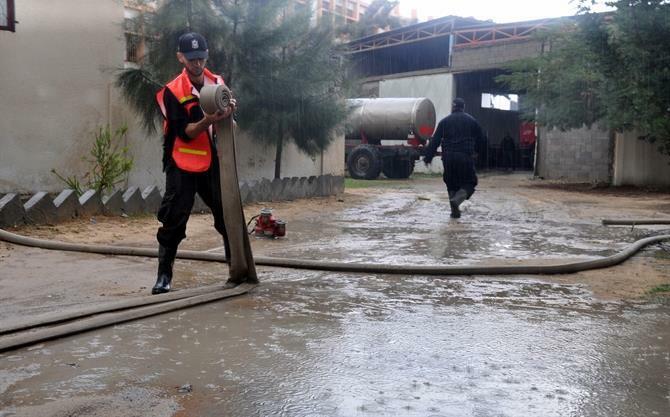 On Thursday, Minister of Health declared a state of emergency due to the torrential rain sweeping the Gaza Strip. 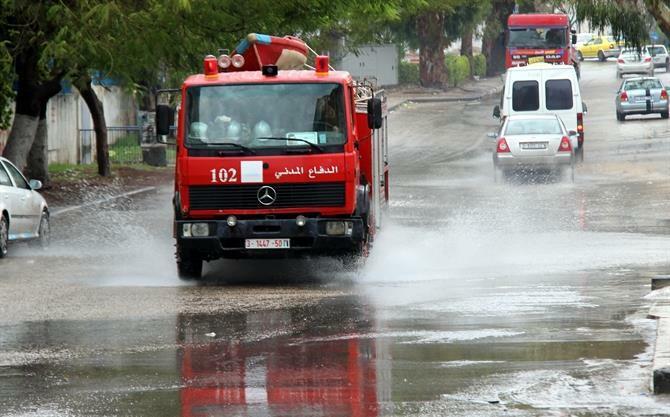 Dr Mufeed al-Mukhalalati called on his personnel to assist the Civil Defence crews and municipalities in alleviating the deteriorating situation amid freezing temperatures and gripping electricity crisis. 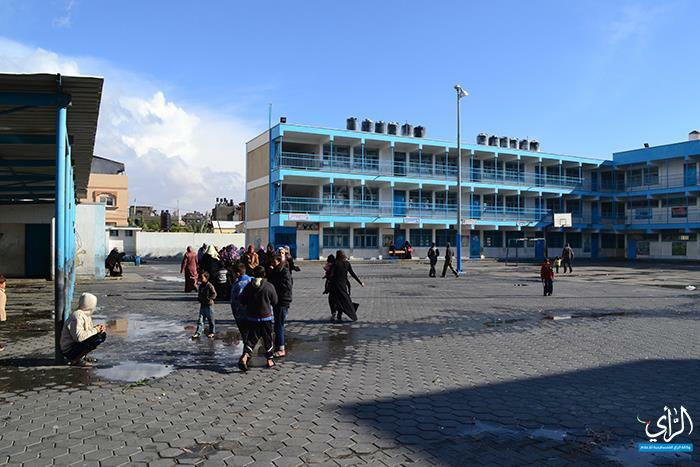 The current temperature stands at 3 degrees Celsius. 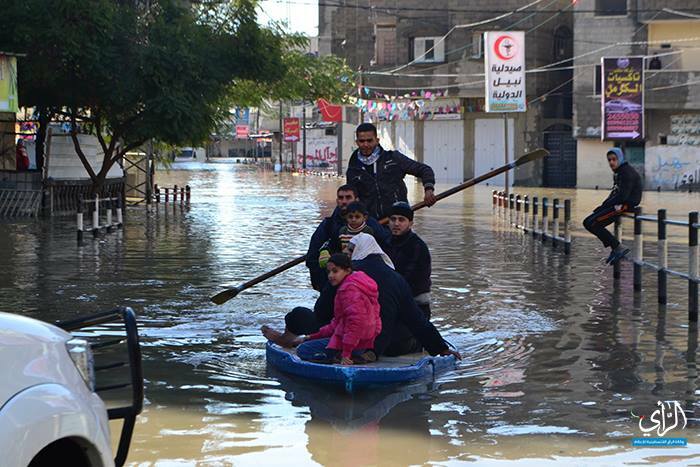 The bad weather has further worsened the electricity crisis in the besieged enclave. 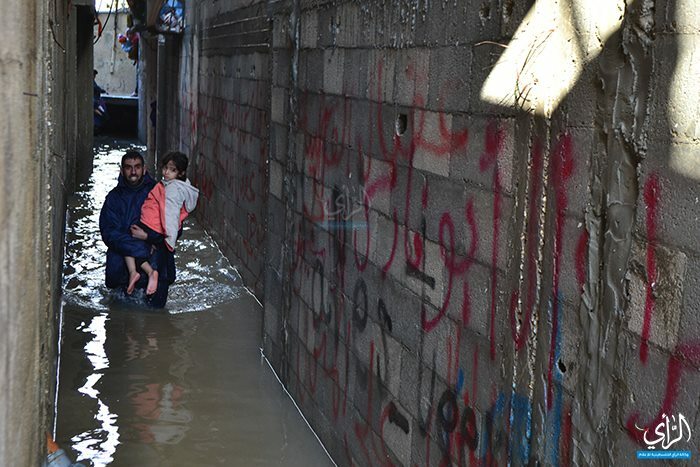 The average of six hours of electricity per day that Gaza has been living on for over a month has decreased to four to five hours with many electricity cables cut due to the harsh weather. 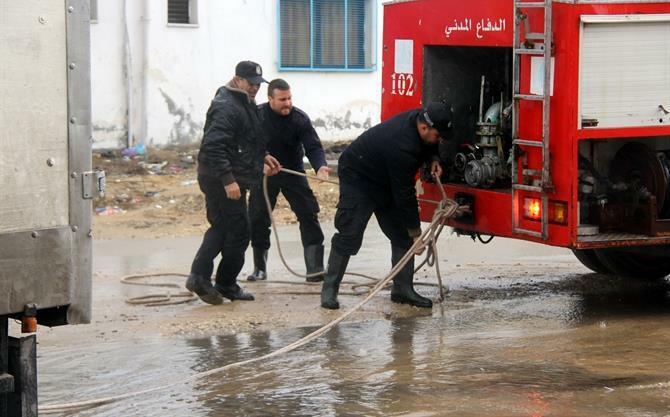 The Gaza's only power plant has been shut down for lack of diesel fuel which stopped to flow since Palestinian Government in Ramallah refused to exempt tax on the fuel shipments that Gaza electricity company buys from (Israel).